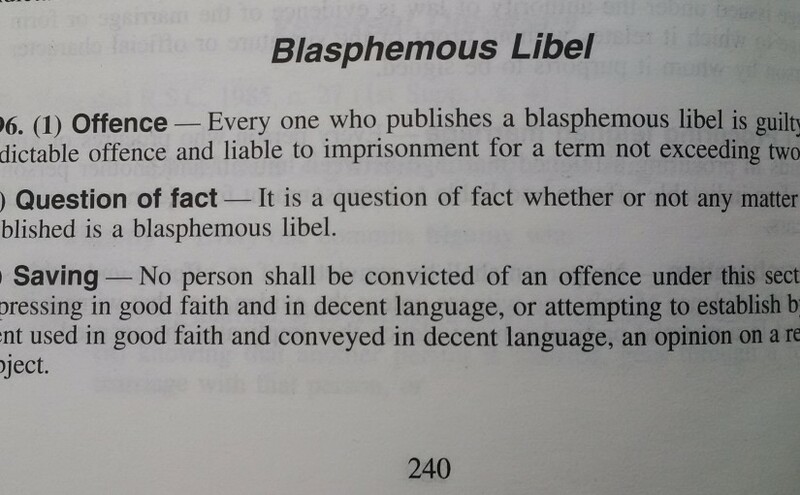 Canada has a law that can put you in prison for blasphemous libel. The definition of blasphemy includes “irreverence toward something considered sacred or inviolable” and “the act of claiming the attributes of a deity”. So, apparently they could lock me up for saying “Holy me!” if a trier of facts considered that blasphemy and I were not, in good faith, attempting to establish an argument that we would be better off without this law. Next Next post: A tool to do what? !